I’m not even sure words can properly describe the energy surrounding last nights game between the Jr High Tigers and the Bulldogs. 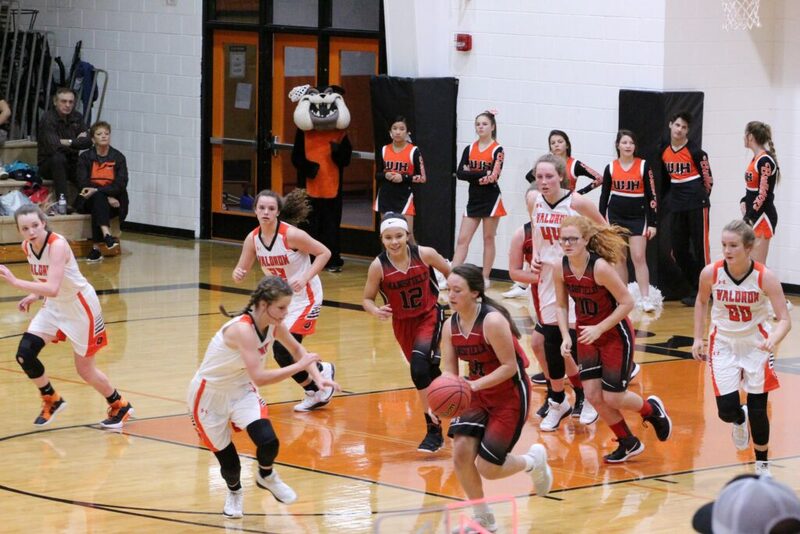 The Lady Tigers won 36-11 and the Tigers lost by only one point 59-58. Manfield played with such passion and ferocity that any parent would be proud. The Lady Tigers stepped out onto the court first to face the Lady Bulldogs. By the looks on their faces, you could already tell that the Lady Tigers were out for blood. Mansfield stayed even with Waldron until the second quarter when the Lady Tigers stole the show. By halftime, the scoreboard read 24-7, Lady Tigers. Leading the team in top-scoring was Kynslee Ward with 9 points. Sadie Roberts brought in 7 points. Natalie Allison and Alyson Edwards made a combined 10 points. And rounding out the total with 10 points was Lita Hecox, Skylynn Harris, Serenity Brunson, Sarah Fisher, and Olivia Bouse. 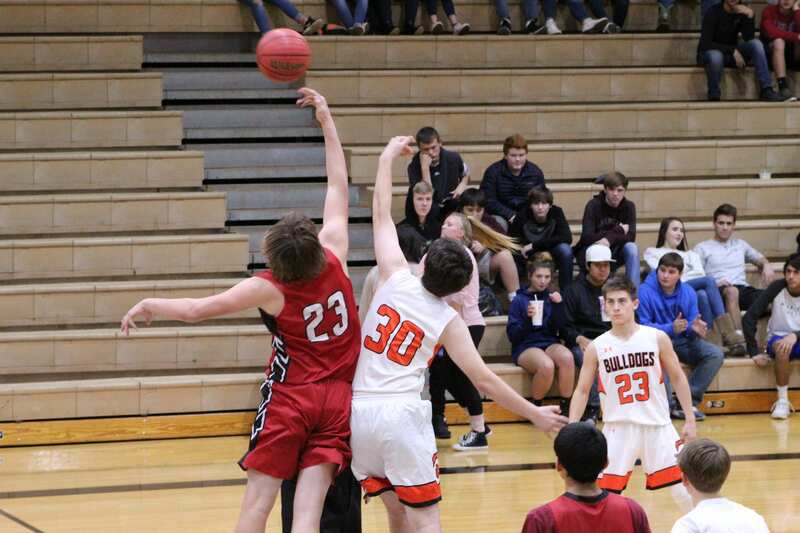 The Tigers and Bulldogs boys teams delivered a basketball game that will go down in the books as one of the best so far this season. The Tigers were fired-up before the game even started and kept that intensity during the entire game. Matching the Bulldogs point for point, it was really going to be anyone’s ballgame. When halftime hit, the score was 27-20, Bulldogs. I don’t know what was said in the locker room but when the Tigers and Bulldogs came back out, there was a chill in the air. The Tigers put on 31 points in the second half of the game. With seconds left on the clock, the Tigers were up 58-57. 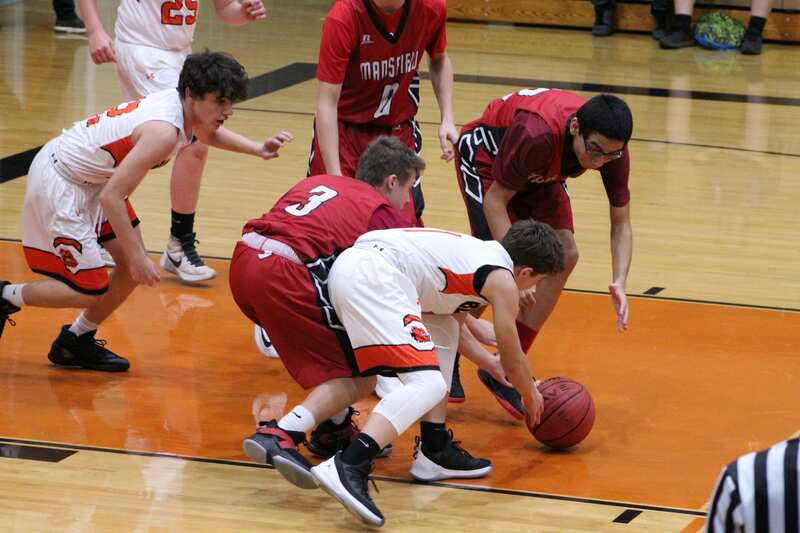 Unfortunately, the Bulldogs scored a quick two points, sealing the Tigers fate and ending the game 59-58. Tyler Escalante led the team with 23 points. Ethan Pettus contributed 17 points to his teams total. Zayne Dugan brought in 9 points. And Steven Perez and Clint Stovall added a combined 9 points. The Jr High Tigers are back to work tonight as they hit the road to face Cedarville at 6 pm. Previous Previous post: Day #5 of “Oh, Fudge!” brings you Remi’s Mint Chocolate Fudge! Next Next post: Holy Hoops Batman!!! !